The National Hunt Horse Racing Scene in Wales is a very exciting place at the moment. The region, already on an upward curve was given a turbo boost with the advent of Ffos Las, Wales new racecourse. The new course has quickly bedded itself into the racing calendar and will augment the domestic racing scene for years to come. If proof was needed on 17 June 2010 (the first anniversary of the course) Welsh trainers won every race on the card. The latest concern is that the cash strapped BHA might be culling up to 150 fixtures for 2011. Ffos Las were given 28 meetings for 2010 but are only guaranteed 16 meetings for 2011; a number that means the course will lose money. General Manager and Clerk of the Course Tim Long voiced his concerns at losing meetings would be a blow for the track but there is no danger of going out of business. He would not be drawn on how many meetings constitute a break-even figure but continued the racecourse will be speaking to Alan Morcombe of the Horsemen Group in an effort to get the best outcome. (This group helps maximise revenue streams for racecourses and is involved in the process of compiling the fixture list and racing program). When specifically asked about the racing track Tim Long commented that the course has held up exceptionally well especially with little grass growth in March and April and continues to improve with age. 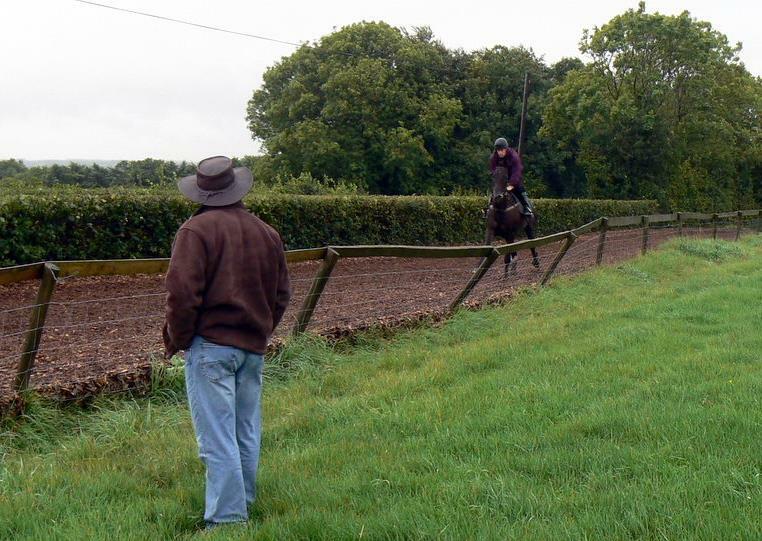 And when questioned about the track riding a little fast at times he explained if you appreciated the large amount of rain received in the area it is imperative that the first class drainage system installed does its job, good drainage sometimes means a faster track. Meanwhile the current top trainer's National Hunt racing table makes very interesting reading at the moment - they are all Welsh. Other notable Welsh trainers doing particularly well at the moment include Mrs A M Thorpe (13 winners), Rebecca Curtis (14 winners at 32%) and W K Goldsworthy (8 winners) are all in the current top 20. Backing all of these trainers to a £1 level stake shows a profit of £47.65 this season. 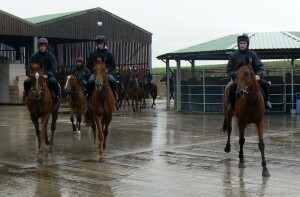 The Racing Horse visits Aberogwrn Farm and the Evan Williams Stables. With the trainer’s table in mind it was with great excitement that I visited Llancarfan, a post-medieval village buried deep in the Vale of Glamorgan (Bro Morgannwg). I was surprised to find this county borough in Wales is a rich agricultural area within a rolling countryside and a rugged coastline that is atypical of Wales as a whole. I went there to visit Aberogwrn Farm the home of Evan Williams Racing in the company of renowned Pontardawe Gambler Vernon Allen and what a fantastic day out it turned to be! From the moment we arrived Evan, his wife Cath and his team made us feel welcome and we were quickly taken to the old farmhouse for a hot mug of tea and a chat and it was there that Evan talked about his hopes and aspirations for the forthcoming year. Since Evan Williams took out a licence in 2003/04 he has increased the number of winners trained by him year by year but although every winner is welcome that is not his main consideration. He reminded us that it is the amount of prize money won that is the true barometer of success whilst raising the quality of horses within his charge. 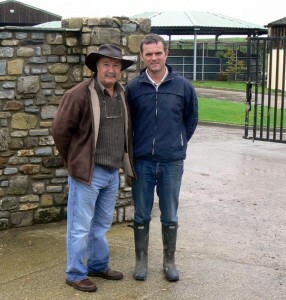 Evan Williams is continually improving his facilities at Aberogwrn Farm and the equine swimming pool application has now been improved and this will help further. Last season saw him return 77 winners accruing £740,170 in prize money in the process. In the very near future the targets of 100 winners in a season or reaching that £1 million in prize money must surely be his for the taking. His biggest earner to date is State Of Play. The horse is still out in the field at the moment but he will be back with Evan Williams in November to resume training before being aimed for another crack at the Grand National. The horse ran fourth in 2009 and third in 2010 so knows how to jump a fence. 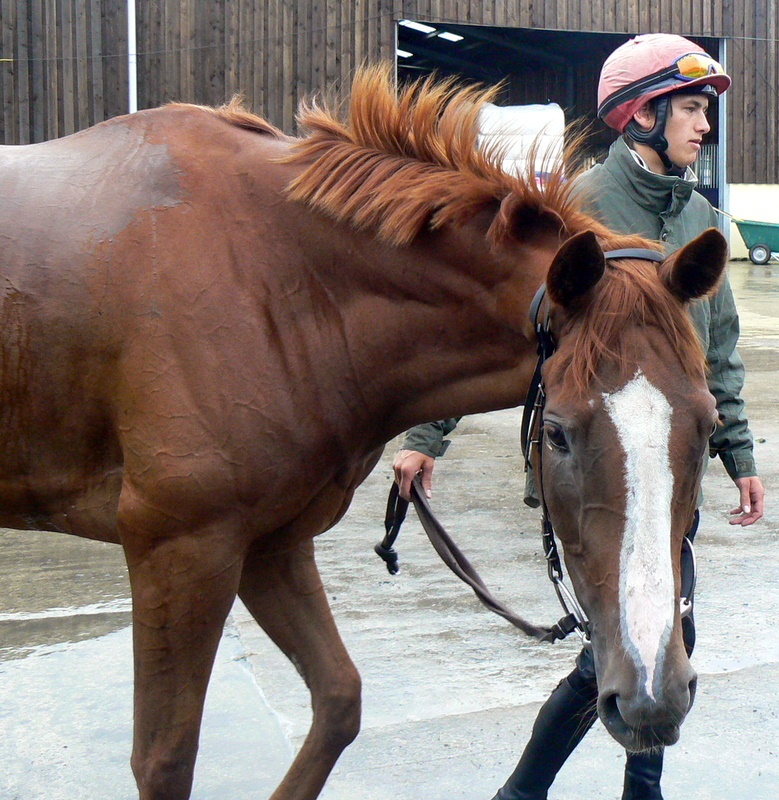 He is already a winner of the 2006 Hennessy Gold Cup and The 2008 Charlie Hall Chase. This does not mean the stable is resting on their laurels. Just recently Evan Williams and William Rucker, an investment banker and patron have purchased Gurtacrue, a lovely looking horse out of Deploy (Shirley Heights). Colin Tizzard and Tom Malone were also very keen on the horse so Williams and Rucker had to go to £95,000 to secure it. Gurtacrue, named after his previous owner/trainer’s residence in Midleton, County Cork had won two point-to-points before landing a bumper at Listowel for trainer Donal Coffey. Watching him in light work, he looked beautiful on the eye. This 5yo chestnut gelding has real scope and size and although he’ll start in novice hurdles he is destined to win good chases. This is a horse to follow! It is exciting to see the principality punching above its weight and adding to the national sporting scene and racegoers must be champing on the bit for more Welsh horse racing success this coming winter.